What is scarier than visiting a doctor? Visiting an insane doctor. Located in Alabama, Insanitarium exposes visitors to the excruciating experiments once performed by Dr. Ausnemen. The mad doctor, who created a serum that brought back the dead, may be gone, but all his experiments still live on in this attraction. 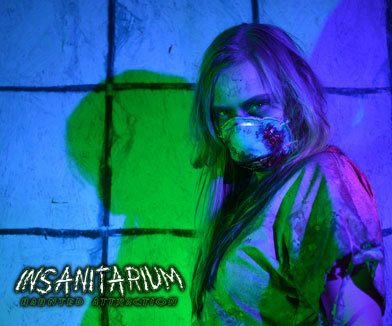 Zombies might be the least of your problems at this insanitarium as even greater evil lurks at every turn. Everything was fun. The effects on teh drop walls and the ghost that slid across the ceiling kept getting me and my gf. About 20-25 minutes to get through so worth the $. Knowing that it was really haunted made it so freaky! I would definitely go again. Loved the Freddy Fasbear room. Lighting was trippy. From the time we walked in things were kickin! Sliding walls messed my sh*t up! Maze was pretty slick. 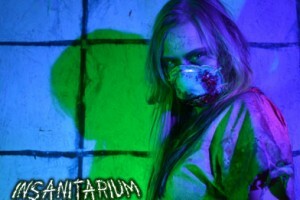 I’d recommend Insanitarium to anyone in Alabama. It’s worth the drive and the crew made it a lot of fun for us. Insane night! The whole place is terrifying but so fun. The maze was awesome and everyone there was super freaky. It’s totally worth your time to go.